I know he's Jewish, but I couldn't resist doing this. It has the tagline "All I want for Christmas is Geddy Lee." That is partially true; I'll have my Christmas wish in about four months, when I go to my concert. And I'll get to enjoy my Christmas wish for a good three hours. Now I have "All I Want For Christmas Is You" by Mariah Carey stuck in my head. It suits the drawing nicely. Interests:Walking, especially with my dog, Jake; hiking in beautiful natural places, exercising, getting together with friends, studying and reading about diverse cultures and languages, reading and writing poetry, watching dog shows, listening to my favorite bands, and ESPECIALLY, listening to Rush CD's and watching/working out to Rush DVD's. Nice drawing, Nobody's Heroine!!!!!!!! 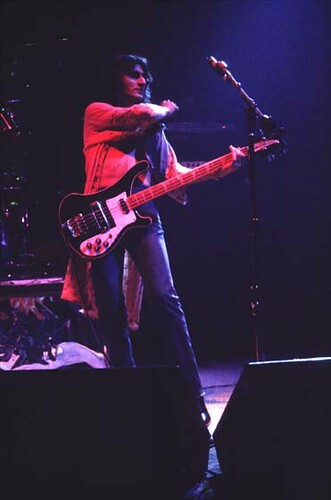 Doesn't GEDDY just make you "TINGLE" with EXCITEMENT?!?!?!?! Oh, yeah. He certainly does. And then some. Aww, this is my computer desktop picture, only mine is cut off so you can't see Geddy's hand One of my favorite, favorite pics of Rush! Had a great Christmas...nothing specifically Rush, but a lot of gifts that'll save me money so I can focus on the Rush road trip in April! 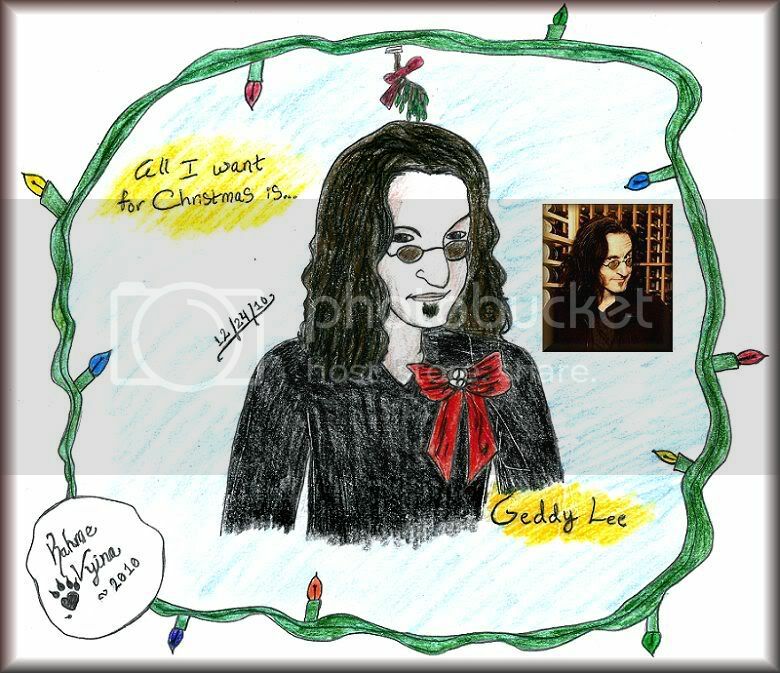 My boyfriend also got a pic from his nephew of a gingerbread man with my BF's face, a got geddy? T-shirt, and holding the BTLS DVD, saying my BF's present will be coming in five days (well, four now)! Don't think I'm not dying to know what it is! Edited by 1 of the 7, 26 December 2010 - 07:19 PM. I love that second one, in particular. Where did you find that beauty? Edited by Force Ten, 27 December 2010 - 05:47 AM. It's in the issue of Classic Rock magazine with Ged on the cover. It's the Jan 2011 issue, I believe. That picture of Geddy is in the month of my and Courtney's birthday! It's awesome being an Aquarius, eh? And to my pal Courtney: I love your signature. You had to put that in there, didn't you? Oh, Ged. We're never gonna get over that, are we? Awwww, man. That's the best part. You had to blur it out, didn't you, photographer? It's not good for business. Think of the Geddy girls! Yes, it is a great thing to be an Aquarian. Since I do share a birthday with someone that's just that awesome. Not in 2112 years, my dear. For a gal who loves older Dirk, these are some great shots! Especially that first one. Always loved that one. No doubt about it...........GEDDY IS A "FEAST" FOR THE EYES!!!!!!!! Thanks for the tip on where to find this pic. I'll be looking for the January issue of Classic Rock magazine SOON!!!!!!! We also get Geddy in January for the 2011 Rush calendar. Even better. Awwwww, you're flattering me again. Remember that triple neck thing? You said, "I dunno, Lerxst. That would be kind of painful." Not even in 2112 years. It makes me melt every time. I think you know that feeling. I could go for that right now. But wouldn't we all?